Expect 3-5 days for shipment of this piece. As soon as your order ships you will receive tracking. The made-in-Italy Unimatic U2-B is a diving grade field watch that features a fully automatic movement, black military dial with white Super-LumiNova® markers and hands, and a grey Unimatic two-piece nylon strap with stainless steel hardware. Each U2-B comes individually numbered as it is an edition of 400 pieces. 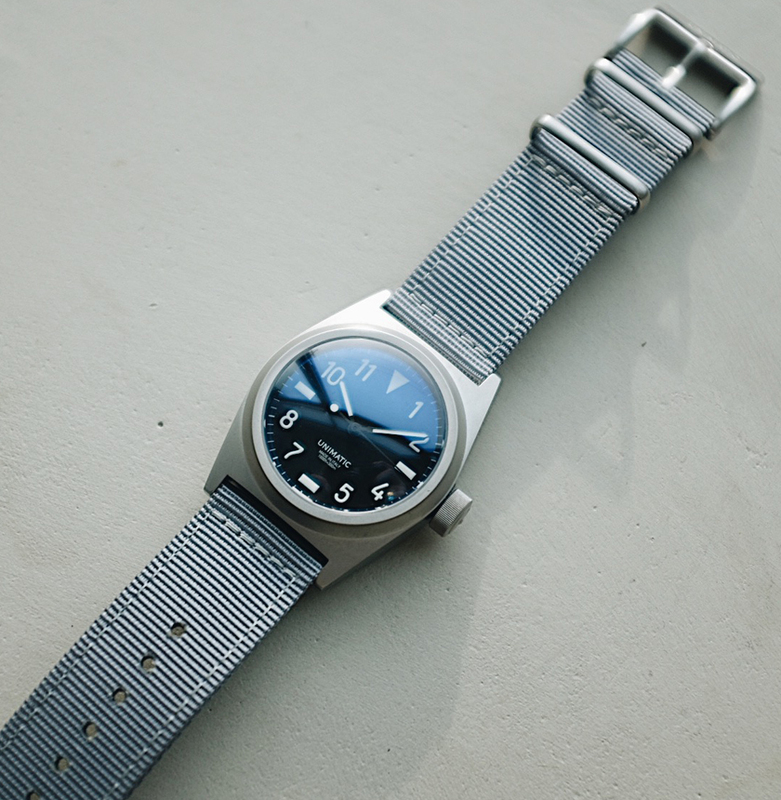 Unimatic was founded in 2015 by industrial designers Giovanni Moro and Simone Nunziatom with a focus on creating military-inspired dive watches that showcase a sleek, minimalist aesthetic. 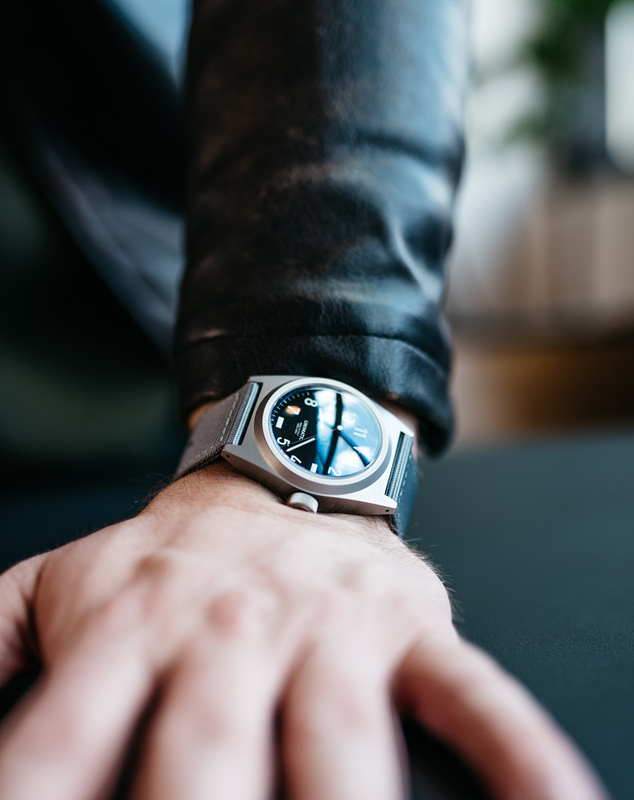 These affordable, yet high quality timepieces are produced in limited quantities and often sell out quickly, sparking high demand and interest among collectors and enthusiasts in the microbrand watch community. Consider the Wldflwrs/CNSDR is proud to currently be the only physical retailer of Unimatic timepieces in the United States.